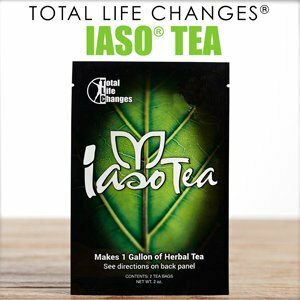 Does Iaso Tea Make You Lose Weight? My Mother’s 2 Month Results. Around 3 months ago, I met with my mother who introduced me to Iaso Tea. She found out about it through her dentist who was selling her a pack of it for 1 month. Her main interest in it was losing weight and seeing if it’s other claims were true. She ended up trying it for 2 1/2 months and still drinks it. This will be a review of Iaso tea, how much pounds she lost and if the other health benefits claimed by this product were true or not. If there is any question you have about this drink, it will be found here. It is a mixture of different herbal products in a bag. Each of those ingredients is supposed to be very health to drink. You can get 8 bags of this in 1 pack. 1 pack is enough to last for 1 month and each bag is meant to be mixed with hot water to create the beverage and then mixed with cold water to be used for drinking. Each bag can make 3 liters so in total you get 24 liters when this product is ready to use, for 1 month. My mother drank 2-3 cups a day, during breakfast, lunch and usually before dinner. I’ll explain how much pounds she lost below. What are the ingredients in Iaso tea and what are their health benefits? This product works like a cleanse and detox. It provides your body with more energy. There are anti aging benefits and you may have clearer skin. There is finally the weight loss benefit. The product my mother got said she would be able to lose about 5 pounds in about 5 days. Basically by drinking this, you are supposed to get healthier. It almost tastes like a lighter version of green tea. The more you mix it with water, the lighter it’ll taste. So what were my mother’s results with this product. Did she lose any pounds? She did feel like she was detoxing because she ran to the bathroom a lot more often. This product does have an ingredient that works like a laxative. Energy-wise, she did feel more of it, especially after drinking it during breakfast. For anti aging, she did claim to feel and see smoother skin (she’s over 50). Some of the herbs inside the bag are supposed to help circulate and freshen the blood. But did she lose any pounds!? Unfortunately no. This is the one major area that didn’t meet the demand for her. From the moment she told me about this product to her consistently drinking it everyday for over 2 months, I did not notice any difference in the way she looked. She also confirmed that nothing changed and the scale said the same thing. Usually detox products like this one are supposed to help you drop several pounds. If there’s better digestion and better circulation, there’s supposed to be better metabolism, and that in theory is supposed to make you lose weight, but it did not happen here. I also went to see if other people experienced the same thing. On Amazon, a lot of people who tried the Iaso beverage also confirmed the benefits my mother had, but also said that there was very little and even no weight loss after trying it. From doing detox diets and trying different products like the Almighty Cleanse, Mag07 and even a regular cleanse, you can never get maximum results or even minor ones from just taking the product and eating normally. Maybe there was an ingredient missing in Iaso Tea. Oh I know…actual dieting! You always have to diet in some way, otherwise the product isn’t going to help. Everyone wants to eat the way they love and expect that some magic pill or drink is going to make the extra pounds go away, it won’t! I have said with other products that are supposed to be used with a diet like Garcinia Cambogia Extract that it makes no sense to try the product when a regular diet alone is enough. If you diet with the product, you’ll lose weight. If you diet without it, you’ll still lose some pounds. If you just try the product without dieting, you probably may not lose a lot of weight. 3 stars out of 5. For general health, this beverage is good as well as being a substitute for regular tea. But it’s not a weight loss solution. There are definitely some healthy herbs within each bag and if you drink them long term, you may probably feel better and look better. For my mother, most of the benefits this beverage claimed to have were true, except the pounds she was supposed to lose. For general cleansing, without having to worry about dieting, drink less stuff with sugar and try to drink more water. Water is the best ingredient for cleansing the body. You can also buy the ingredients inside Iaso tea separately and just make your own beverage from them. I for example, love to make a ginger beverage. While there are definitely people who probably do lose weight drinking Iaso tea, there’s also people who don’t, including my mother. If you want to lose weight and don’t want to risk $45 trying this tea, you should just try a diet, but one that works very well. The Iaso beverage itself is not a bad product to try, but I don’t think it’s suitable for weight loss. For better skin, more energy, yes. Hey all! I had one amazing experience drinking Iaso Tea! And I do believe it worked like magic. And I do want to drink it for the rest of my life. I see many people say they did not lose any weight. That was not the case for me. And, look, I don’t sell this product but I am tempted to. And no one paid me to write this. A woman who gave me a facial at a spa turned me on to the tea. She said I would lose five pounds in five days. And I wanted that because I was going on vacation. I paid ten bucks for one pack but it was worth it. The tea blew my mind. In two days I lost more than five pounds. I lost seven! Yes, in just two days. I made sure that I was drinking lots of water with it so it would not be just water weight. I don’t remember changing my normal diet at all. And I did not exercise. I must admit that I am 5’11 and was about 220 lbs. That is considered obese. And maybe because I’m a big guy I lost that much. But I was just blown away. Again, I drank lots of fluid with it but I did not change my diet. This is just my story…it may do nothing for you. But I am a true believer. The tea is amazing! Hi Mathew, I congratulate you on dropping the 7 pounds, but I have to say, there’s certain things you mentioned within you review of Iaso Tea that led me to believe there was more than just the tea that did it. For example, you did mention how you drank a lot of water. No matter who you are, drinking water is a great way to drop weight and I have no doubt that it was a major contributor to your results. Now I am not second guessing Iaso Tea’s benefits and I have known people who experience INITIAL results from drinking it, but I am wondering if this weight loss momentum will keep up as you continue doing it. It is very common for people on new diet products to experience that initial drop of weight, but as it goes on, the effect dies out so I would love to know through a followup on how well it continued to work for you. I lost my first ten pounds in the first week that I drank it. I also began exercising 3X a week, increase water, stopped eating white sugar, white rice, and white bread. No sodas, chips or pretzels. Increased veggies and fruits. No fried foods, included good yogurt, nuts and Skinny Pop for dessert. Added peppermint essential oil to water bottle before gym workout, amazing; helps to focus and endure while cutting appetite. Hi Althea, did you start doing all the other things you mentioned WHILE on the Iaso Tea? Because if so, I’d say the results came mainly from the diet change, not the tea. I have just decided to try laso tea and because of some comments I will try to diet and exercise then will table the reaction. Well I tried this tea 2yrs ago and I definitely lost about 15 pounds. I ate what I want and just started back using it today. I believe in this product and it works for me. I’m glad to hear it worked for you Tammy, I certainly don’t deny it working, but the thing is, I find that without a proper consistent diet, people look at these quick fixes and ignore the more important way to stay healthy and that’s by eating healthy foods. While this may have helped you a lot, the thing is, without the major changes, you will eventually restart from the same position of having to lose the weight again. I never heard that tea could help you lose weight. Good for me, because I don’t like tea, except diet green tea and too much of that is no good either. However, I have heard of and do take garcinia cambogia. It has helped with as an appetite suppressant and I have lost weight. It seems to be extremely popular right now. I’d give it a chance! I like the ingredients in the tea. Some of these ingredients would work well by themselves as well. I particularly love a cup of hot ginger tea. I agree that just drinking tea alone without any other measures like dieting and exercising is unlikely to result in weight loss. Even if that was not the case, I think the claims by the tea of losing 5 pounds in 5 days is way too excessive. Healthy weight loss should not be so rapid. That kind of weight loss is more likely seen in extreme and unsustainable crash diets. Apart from that the Iaso tea seems to be a good healthy beverage to drink. I never heard of this tea before so thanks for the review. Ive have heard so much hype about this tea, but you are right, it will do no good if you arent combining with a good diet, or at least cutting back on certain high calorie foods. Can you share your ginger recipe? I love ginger and would love to try it! I just started the IASO TEA and honestly it helps with my bowels also I eat less and have lost 2 pounds in three days I’m also eating healthy but I love all kinds of teas. Hi Shunda, I am not doubting that Iaso tea is good, but I think you will find that your weight loss comes more so from eating well and not drinking this tea. This is the conclusion I’ve come to with all these “miracle” marketed health foods and drinks. Good, thorough review. I think you are right about dieting. A quick fix weight loss claim usually doesn’t work. If a product has healthy, natural ingredients, it is good to try it, but don’t expect miracles. If Iaso tea gives your mother energy and makes her feel good, that is a reason to keep drinking it. But, like you said, there are no quick fix weight loss products that work, at least not long term. What we eat and how much we exercise is the key! It an honest review and I really appreciate this. i think I will give a try to this tea and see what is going on:) I will let you know. Thanks for sharing 🙂 have a nice day . When you say it assists with giving energy…Is it the nervous, shaky feeling like to much caffeine or is it energy without the shakes? No it’s basically more of a stamina boost, kind of like if you wake up feeling great or if you do a run and feel energized afterwards. I have moved on to a Vegan diet and have been experimenting with different drinks. I have got as far as green tea, which is very refreshing. I drink about 3 cups per day and then stick with water for the rest of the day. I don’t notice any specific laxative effect with green tea. I was thinking of trying laso, but now I’m not so sure. I am sure laso tea with a more vegetarian or vegan diet would contribute towards weight loss. What do you think ? if your current vegas based diet isn’t doing enough for your weight loss, I honestly doubt Iaso will add to it Chris. You may want to consider eating something different and/or in smaller caloric portions per day. Thanks for this, I was working my way through lists of teas to see if they would help my friend on his diet and was wondering about Iaso. Do any other teas help with weight loss? What is the best tea to complement a diet program? I was wondering if some teas might help reduce appetite and so on. The only tea I have heard of it the most natural form of green tea, but again none of these teas alone can solve a weight problem. I never heard of this herb tea but it got my attention mostly for it’s detox purposes. I think it would work “easily” for people that have fast metabolism. However, at the end of day it comes down to dieting and drinking lots of fluid to help loosing some pounds with the help of the product. I’ve sometimes heard about these types or teas that cause one to drop weight but honestly I’ve always been skeptical. I believe that diet is important, but I’m a subscriber to the rule that *elimination of waste* is even more important…so being able to handle waste efficiently is a big part of any health regime. 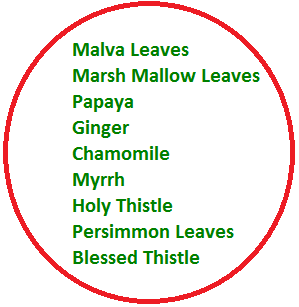 Are there teas out there that can do both very well on a consistent basis, or do results vary wildly based for individuals? I agree as well Joshua. I believe potent green tea would probably suffice in terms of cleansing the body well, but it will be different on people because everyone has a different amount of waste in their body as well as conditions that may take the tea longer to act but other than that, the only proven way that does work on most people is regular dieting. I’ve tried Iaso tea myself in the past and received similar results. I felt I was detoxing a bit, felt more energy, but didn’t notice any weight loss. However, nothing outside of my natural habits changed except for me drinking much more tea. But despite not losing weight, I found Iaso tea to be quite beneficial in other areas. I think maintaining one’s usage, and perhaps implementing something different in either diet or exercise could produce the desired results. I’d be interested to know your thoughts! For sure Maggie, if people do more than just drink the tea and actually engage in healthy eating/drinking habits, they will definitely be healthier overall. Depending on just this tear is not enough to get great overall results. I would try it. My son takes it has lost weight. In the post you mom didn’t change her eating. That is mistake #1. My son had cut out all soda and snacks and change his eating. He had begun to lose weight but very slowly and added the tea with exercise. Iaso Tea is also not a weight loss tea. It is for detox purposes and with detoxing it can help to shed those pounds. There are people that used it and lost a considerable amount of weight but drank it for more than 2 months. I took the tea and it didn’t help me lose weight. I didn’t change my diet so I’m sure that’s the reason why I never saw any weight loss. However my issue with the idea that you must change your eating habits if you want to see results, is that why even bother with the “miracle tea” if you’ll have to go on a diet anyway? Why not just go on the diet and save your money for something else? You then start to question if the tea even works; i.e. am I losing weight from my diet or the tea? If the tea doesn’t work without a diet then does the tea work at all? I agree a lot with your points. I too believe that there’s no point in drinking this tea if your goal is weight loss. The only thing it is said to do is detox you, but then again, you can just drink more water for that effect (and weight loss frankly!). I think the benefits your mother did receive though were still very good. The list of ingredients reads well and I think maybe 2.5 months might be a little too soon to fully judge the product. Many of these things work on what’s the most important thing within our body first. Who knows what it’s doing, but it could be that if she keeps on keeping on a time will come when the most important issue in her body is weight… and then it will begin to drop off. Typically any product or drink that is supposed to get a weight loss result should start happening in under a month Marilyn. You are right Marilyn. If you exercise your body needs 21 days to start even recognizing you are doing something and thats physical work. This tea is probably helping people with natural metabolism problems. However, I doubt that’s the general public as everybody simply doesn’t exercise or move around enough, or overeats. Overeating is probably the bigger issue because it’s very easy to gain extra pounds. This is especially true when people enjoy oils so much like butter, margarine, ice creams, whole milk, and so on. Iaso tea doesn’t seem bad because it contains very relaxing ingredients that can also help with stress. Stress is also a big contributor to difficult weight loss. Then again, people should look at the big picture. Thank you for the information. I think this tea has the same benefits of green tea or other herbal tea for that matter. I agree with what you said that the best way to lose weight is to follow a good dietary plan and a good exercise regime. Tea alone won’t make you lose weight and when it does sometimes it’s just a temporary weight loss and there is a need for a more strict dietary plan. Thank you for sharing an informative review! Hi there, thanks for the review and thanks to your mother for trying it. I was wondering why the dentist was selling such a product in the first place. Also, it must be so disappointing not to have lost any weight especially since the tea worked as a laxative – was she dehydrated after this? Did the laxative effect calm down after a while? Well the dentist was also a distributor of it. The laxative effect wasn’t a huge discomfort to her, she just ran to the bathroom a little bit more often, but other than that she didn’t really eat differently. Great update about the claims of what to expect from Iaso tea. To me, it sounds like it may be working for the most part and only people who have their system really out of wack will lose weight and for most people, it just takes care of helping to cleanse the body with minimal weight reduction. I believe like you mentioned you need to be active and eat properly to be truly fit for there are no magic pills as you mentioned. I was wondering about this tea and if it would work or not. I however exercise and diet already and am looking for something natural to give me an extra boost. I have been looking for a while now but thank you for doing this review. You answered all my questions. What do you suggest that would work? This tea will probably give you more energy Marie, but I think just adding apple cider vinegar or drinking more water will give you that energy. My sister is looking to lose weight, and she is always trying different kinds of tea and beverages in order to shed some pounds. But none of them seem to be very effective. But since you mentioned that the Iaso tea is also good for making us more energetic, than I think my sis should try it out. It may give her more drive in order to be more active, and start exercising regularly! If those drinks weren’t working for her before, she might want to skip this one too Farhan.